When the first generation Ryzen processors came out nearly three years ago, AMD changed the market. And, now that Ryzen 2nd Generation processors have been out for a year, Tem Red has dominated that market, more than doubling Intel’s sales, according to a German retailer. But, it gets better: AMD Ryzen 3rd Generation processors will bring the 7nm Zen 2 process to mainstream processors for the first time. Considering the fact that Intel is having considerable issues introducing 10nm Cannon Lake chips, and even its next HEDT lineup will likely stay on 14nm, AMD has swooped in and upstaged its rival before it even has a chance to launch Lakefield or Ice Lake, while also introducing some for the most impressive consumer processors yet. We can’t wait for Ryzen 3rd Generation. At CES 2019, AMD announced its first Ryzen 3000-series processors will arrive sometime in the middle of 2019. Unfortunately, the chipmaker didn&apos;t give us an exact date, but Ryzen 3rd Generation does seem to be releasing a little later than previous launches. The first generation of Ryzen processors hit the market in March 2017 and Ryzen 2nd Generation arrived a month later in April 2018. With that in mind, it&apos;s a bit surprising Ryzen 3000-series chips will be coming a bit later – our best guess is they&apos;ll arrive in May to July at the latest (we hope). In fact, we’ve seen a new rumor that suggests that AMD Ryzen 3000 chips will be launching alongside AMD Navi graphics cards in July. 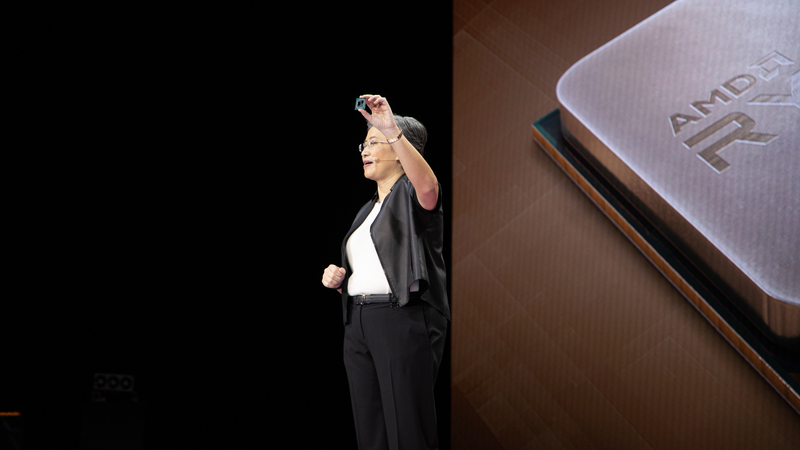 In fact, AMD CEO Lisa Su herself teased that she would reveal the “next generation of high-performance AMD platforms and products” at the AMD Computex 2019 keynote. If this is true, it would line up with the mid-2019 window that AMD announced at CES 2019. 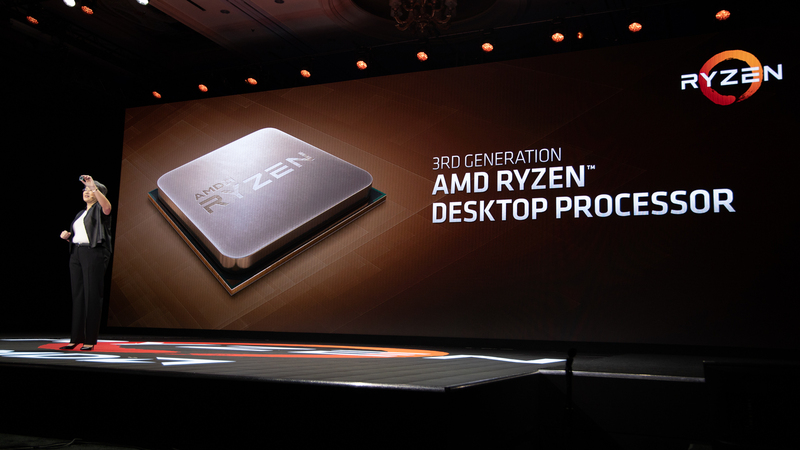 So, we’ll have to wait until Computex to see when we’ll be able to get our hands on AMD Ryzen 3rd Generation processors. AMD didn&apos;t announce any pricing information on its upcoming 8-core, 16-thread Ryzen 3000-series processor so don’t have any empirical proof what it&apos;ll cost unfortunately. However, thanks to a curiously detailed report from a YouTuber named AdoredTV, we have model names and prices for nearly every possible Ryzen 3rd Generation processor. Still, we would wait until AMD actually unveils pricing, because Team Red has a track record of lowering the prices of its processors going from Ryzen to Ryzen 2nd Generation. The AMD Ryzen 7 1700X originally launched with a $399 (£389, AU$569) price and it was succeeded by the more affordable $329 (£349, AU$515) AMD Ryzen 7 2700X. With that in mind, we couldn’t imagine/would be disappointed if the Ryzen 7 3700X were to cost more. For now, it seems AMD will hold onto the same pricing scheme from its current slew of chips going into the next generation. So far we only know of one Ryzen 3000-series processor and that is a 8-core and 16-thread chip designed to go toe-to-toe with Intel&apos;s flagship Core i9-9900K. 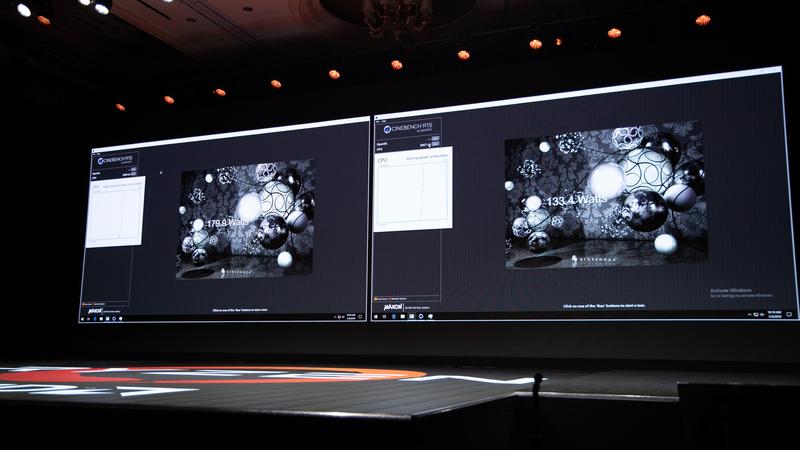 On its CES 2019 keynote stage, AMD On benchmarked its secretive processor with Cinebench to achieve a score of 2023. Comparatively the Intel Core i9-9900K and AMD Ryzen 7 2700X scored 1,873 and 1,798 points, respectively, in our own testing. What’s more impressive is that the new Ryzen 3000 chip seems to be more power efficient than Intel’s current Coffee Lake Refresh lineup. During the Cinebench demo, AMD also displayed the maximum power draw of the Intel system running at 179.9 watts (W) while the new Ryzen system maxed out at 133.4W. Overall it seems that, Ryzen 3rd Generation&apos;s 7nm architecture affords it 12% more performance while making AMD chips about 30% more power efficient than Intel&apos;s latest 14nm CPU architecture. This is all thanks to the smaller 7nm Zen 2 platform, which introduces a massive die shrink. Previously, Ryzen 2nd Generation processors were built on a 12nm Zen+ architecture that introduced a slight die shrink from the original 14nm Zen architecture. And, it looks like AMD isn’t stopping there. AMD’s Zen 3 processors, built on a 7nm+ process, will use extreme ultraviolet lithography (EUV). That might not mean much to you, but this new method will reportedly lead to boosted transistor density and power efficiency. Despite being built on a new architecture, Ryzen 3000 CPUs will still fit into the AM4 socket used by Ryzen 2nd Generation and the original Ryzen processors. That said, Ryzen 3rd Generation is introducing something new with PCIe 4.0 support. However, it seems like, at least according to some leaked specs, that the 8-core chip AMD revealed at CES is nowhere near the top of the pile. For instance, the AMD Ryzen 9 3850X is rumored to have 16 cores and 32 threads with a max boost of 5.1GHz. That’s far better than any consumer chip on the market right now. The rest of the rumored lineup is listed below. Before you get too excited about unlocking even more power from your Nvidia GeForce RTX 2080 or AMD Radeon VII, PCIe 4.0 will only enhance your storage solutions for now. We heard the first murmurs of what Zen 2 processors could do as early as October 2018. In the report suggested that AMD Radeon Technologies Group received its first engineering sample for the unreleased architecture in the form of an 8-core chip capable of reaching frequencies up to 4.5GHz. Whether this rumored processor and the one AMD officially announced are one and the same remains to be seen. In December 2018, the rumors began to really head up as we received an almost complete breakdown of this new series of CPUs. This nearly complete set of listings came from a YouTuber named AdoredTV and while they seemed unlikely to be true, a Russian retailer would later back up the influencer’s report with nearly identical specs on all its product pages for the whole series of chips. We’re not sure if the Russian retailer was just cribbing AdoredTV’s video like a cheat sheet, but so far no other rumors or reports have contradicted what we know so far. In fact, notorious leaker Tum Apisak revealed a leaked UserBenchmark entry for a 12-core, 24-thread Ryzen 3000 processor. This leaked processor didn’t have any kind of product name attached to it, but it’s still exciting. This is all we know so far, but we’re certain that AMD will show off the specifics of Ryzen 3rd Generation later in the year.